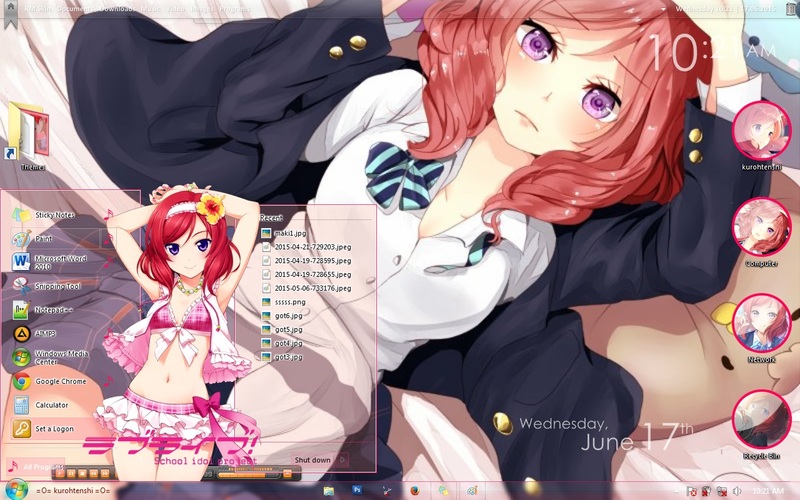 hello guys, how do you do guys?? we meet again. 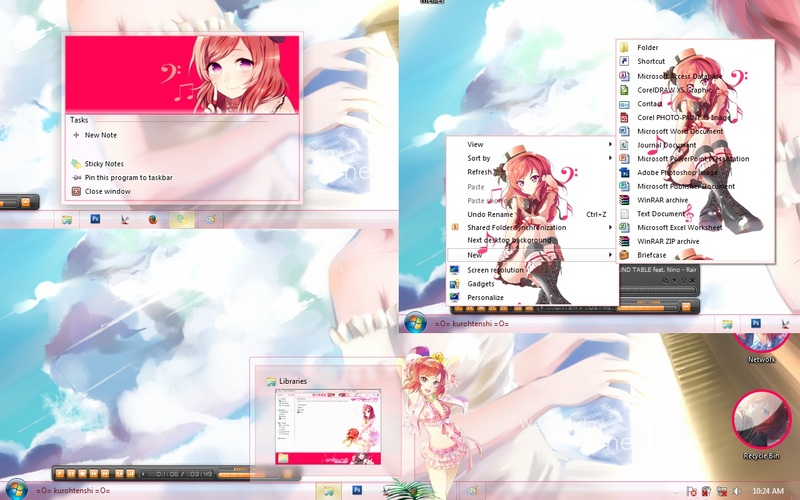 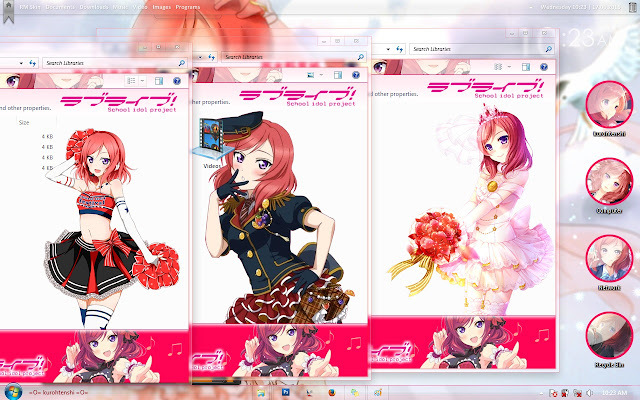 this time i make a theme for windows 7. i use the character of Love Live School Idol Project, Maki Nishikino. for explorer background, i make 4 for it. 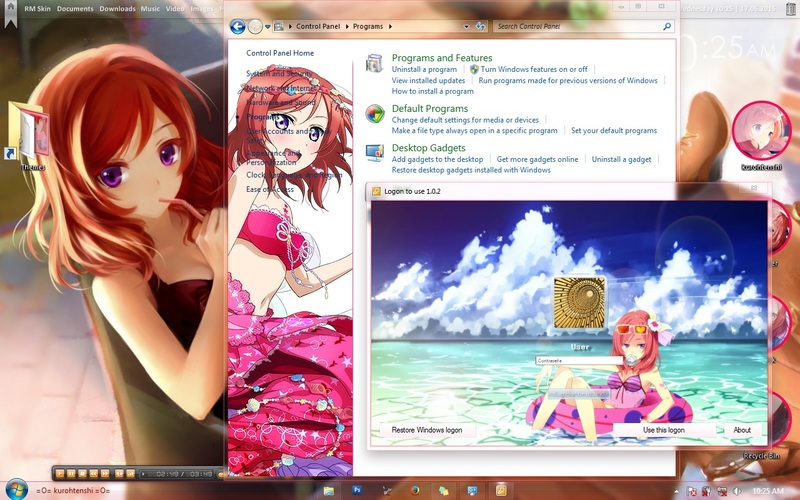 do you like the explorer background guys?? and here a screenshot about the taskband, and popup menu. 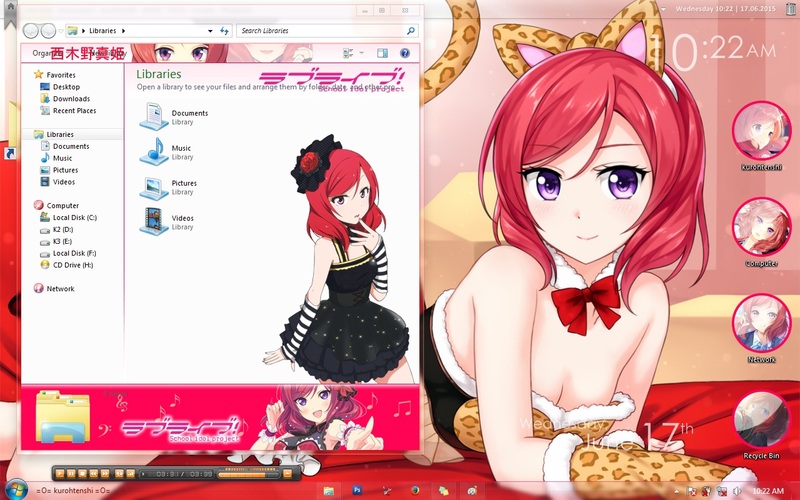 this one is for the image on control panel. and i give a logon on this theme, just like my another windows 7 theme. 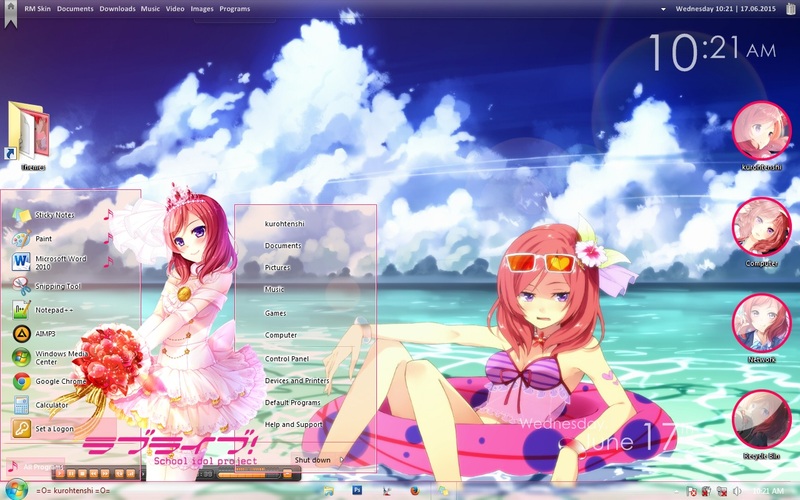 soo... what do you think about this theme guys?? 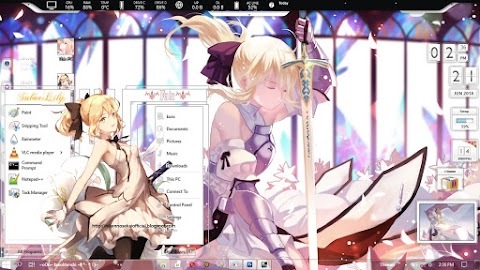 if you interesting on it, just download it, anyway it a free theme.